At Ross’s Discount Home Centre, we aim to make life easier for our customers; from our experienced team offering honest advice, right down to the kitchen accessories we offer that make kitchens more functional and operate smoother. For kitchen accessories in Perth, Ross’s has you covered. 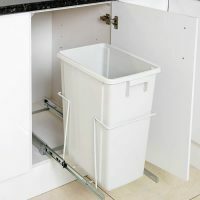 We offer a range of kitchen storage solutions and accessories including concealed door-mounted slide-out kitchen bins. 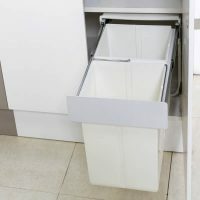 These kitchen accessories are suitable for the Alpine range of base units or any unit that meets the size requirements. View our range of accessories below.